Last year, scientists from the University of Science and Technology of China took Schrödinger's cat into space. Not literally. The cat was the subject of a theoretical experiment that explained quantum mechanics. The Chinese scientists, meanwhile, sent a quantum satellite into space and used it to send entangled quantum particles back to stations on Earth. Entanglement means that two particles are irrevocably linked. The properties of one will be common to the other, right up to the point at which they are observed or measured. Imagine, if you can, throwing two coins in the air then looking to see if they landed with heads or tails up. Now imagine that whatever the result of one coin was, the second coin would always be the same. Now imagine this effect always occurs – even if they are nowhere near one another. That’s quantum entanglement. The Chinese scientists beamed their entangled particles to base stations 1,200km apart, and their state of co-dependence was still observed. It’s a property Albert Einstein reportedly described as “spooky”. He may have had a point and it’s a milestone that could change the world of computing as we know it. In fact, it’s a change that could have consequences that go far beyond the tech sector. Quantum computers could calculate the factors of even the largest prime numbers in near real-time. The use of huge prime numbers and their factors is the foundation of data encryption. Once several quantum computers are connected into a quantum internet, this kind of use could usher in a terrifying new wave of cyber warfare in which entire organisations could be knocked over with ease. But it’s not all doom and gloom. There are also some potentially life-changing upsides to the development of a quantum internet. Networks of high-performance computers have enabled researchers to streamline genome decoding and pharmaceutical development, for example. It also has the potential to radically speed up machine learning time. 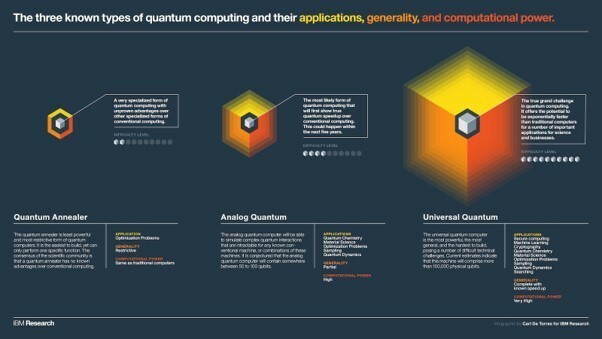 If by now you’re intrigued and would like to experience it for yourself, you can do so courtesy of IBM. It’s accepted that the need for speed has always driven the pace of development in the tech sector. Combined with increased storage, the ability to go faster – whether you’re performing calculations or communicating between devices – has given us so much of the tech we take for granted in our everyday lives. Such as our phones. It might be a little hard to believe, but mobile phones have been with us in one form or another since the 1970s. At any rate, that’s when the first generation (or 1G) of mobile connectivity standards were developed. It took almost two decades before the second generation (2G) standard was developed and we could start sending text messages and experimenting with a very rudimentary mobile web. By 4G, which has been readily available for several years in much of the developed world, mobile internet speeds were comparable with home broadband services. But a major leap forward is coming, thanks to 5G, the telecoms industry has promised. For one thing, you’ll be able to download a movie in seconds. There’ll also be an explosion in virtual and augmented reality applications. Plus 5G will offer the always-on connectivity required to make autonomous vehicles a reality. It can do all of this, and more, because it uses frequencies currently unavailable to the mobile industry. These higher frequencies will be far less crowded. But 5G will be susceptible to signal degradation and could get blocked or disrupted by buildings and other obstacles. There will need to be many more base stations to carry those signals, and that means additional investment in infrastructure. The first 5G handsets will be available next year, and there will no doubt soon be auctions for the rights to the spectrum. But while consumers are always happy to get more and better services, faster speeds, and more engaging apps they’re not always prepared to pay more for them. This leaves the network operators facing a conundrum – investing heavily in a network that will allow value-added services that too few customers are willing to pay extra for is not an attractive commercial proposition. 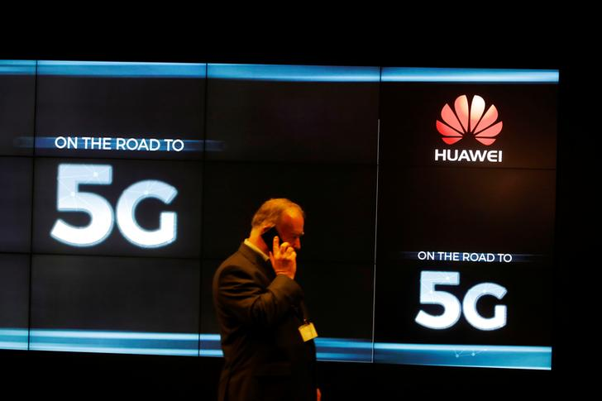 The rollout of 5G networks could therefore take several years, though already countries like China and the United States have been spending billions of dollars to put the infrastructure in place. However, while 5G might be just around the corner, the quantum internet might not materialise at all. Quantum computers have to be cooled to 10 millikelvin, which is approximately -273°C. They are also delicate and easily disturbed by intrusive electromagnetic impulses, vibrations and temperature changes. To get more computing power out of one, the logical step would be to add more qubits, or quantum bits, to the computer’s chip. Qubits are the basic unit of quantum information, but adding more of them only further increases the overall levels of sensitivity and instability. 5G huh. We really are evolving. The word quantum sounds very cool and high tech.